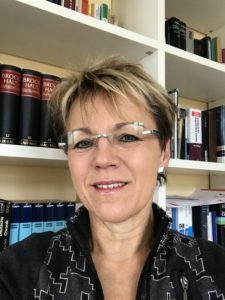 Professor Angelika Brückner obtained her PhD and habilitation in chemistry from Humboldt University of Berlin. After having worked in Berlin since 1985 at the Central Institute of Inorganic Chemistry, the Centre of Inorganic Polymers and the Institute for Applied Chemistry (ACA), she moved to Rostock in 2009 where she is now deputy director and head of the research department “Catalytic In Situ Studies” of the Leibniz Institute for Catalysis at the University of Rostock (Germany). She has substantial skills and facilities as well as long-term experience (more than 200 publications, h-index: 41) in performing spectroscopic in situ and operando studies of solid catalysts during heterogeneous and homogeneous catalytic gas- and liquid-phase reactions by a variety of techniques, such as EPR, UV-vis-DRS, FTIR, Raman, XRD, XAS, partly established as coupling techniques of several in situ methods in the same experimental setup. Professor Kazunari Domen received B.Sc. (1976), M.Sc. (1979) and Ph.D. (1982) honors in chemistry from the University of Tokyo, Japan. 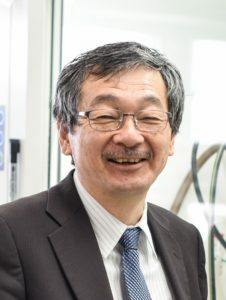 He joined Chemical Resources Laboratory, Tokyo Institute of Technology, in 1982 as Assistant Professor and was subsequently promoted to Associate Professor in 1990 and Professor in 1996. He moved to the University of Tokyo as Professor in 2004. In 2017, he was cross appointed at the Shinshu University as Special Contract Professor. Prof. Domen has been working on overall water splitting reaction on heterogeneous photocatalysts to generate clean and recyclable hydrogen. He has published more than 700 original and review papers, his h-index is about 170. 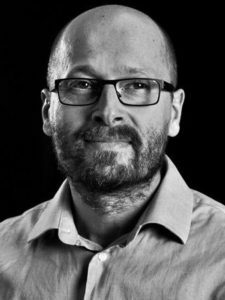 Current research interests of Prof. Domen include heterogeneous catalysis and materials chemistry, with particular focus on surface chemical reaction dynamics, photocatalysis, solid acid catalysis and mesoporous materials. Dr. Wolfgang Gernjak completed his PhD study on solar AOPs in 2006 graduating from BOKU Vienna. In 2008, after having worked for 6 years at Plataforma Solar de Almería, Spain, on solar chemical and thermal processes, he relocated to the Advanced Water Management Centre at The University of Queensland, Australia, where he led the Drinking and Recycled Water Research Program, dedicated mostly to innovation and optimization of industrial scale membrane and oxidation processes. Since 2014, he leads the line Water Supply and Advanced Treatment at the Catalan Institute for Water Research, Spain. Since 2015 he holds a permanent position as an ICREA research professor. In the past 15 years, he published nearly 100 SCI papers with close to 5000 citations. He supervised 7 PhD students to graduation and has led numerous competitive research projects. 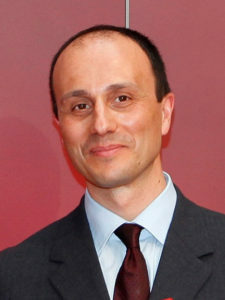 Gianluca Li Puma is Editor of “Journal of Hazardous Materials” and Professor of Chemical and Environmental Engineering at Loughborough University (UK) where he leads research in “Environmental Nanocatalysis and Photoreaction Engineering” research in the fields of photocatalysis, environmental nanocatalysis, advanced oxidation processes, environmental applications, solar energy conversion and solar engineering. Current research is focusing on process intensification for the removal of contaminants of emerging concern and water reuse using microfluidics technology and oscillatory flow technology. He has participated as committee member or as programme chair in the organization of over 60 international conferences in catalysis, engineering and environmental science, for the American Chemical Society (ACS), the International Water Association (IWA) and others. 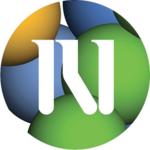 He is member of the EPSRC Solar-Fuel Network (UK) and UK Management Committee Member of EU COST Action ES1403UK on New and Emerging Challenges and Opportunities in Wastewater Reuse (NEREUS).